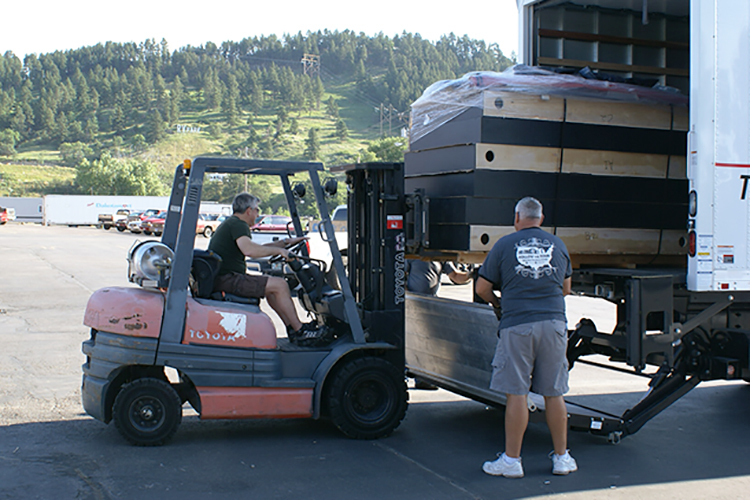 Exhibit Systems has an experienced and dedicated logistics department ready to assist in your shipping and receiving requirements. As you get ready for your trade show or special event, you shouldn’t have to worry about your trade show exhibit arriving there on time. We will coordinate with our network of reliable freight partners to ensure your shipment arrives on time and hassle-free. 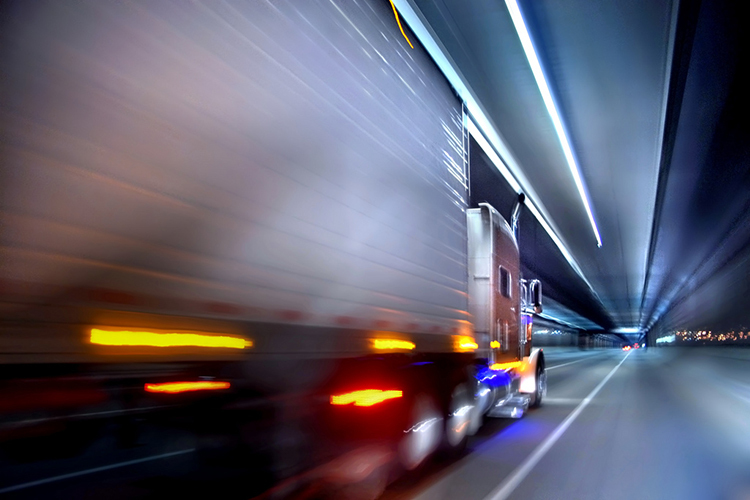 The freight companies we choose to work with use drivers with experience in the trade show environment, and they are familiar with the rules and regulations at exhibition halls throughout the United States and Canada. They are ready to handle any situation that comes up. We know that there are concerns and challenges when shipping internationally, so we’ll work with trusted customs brokers for all our international shipments. 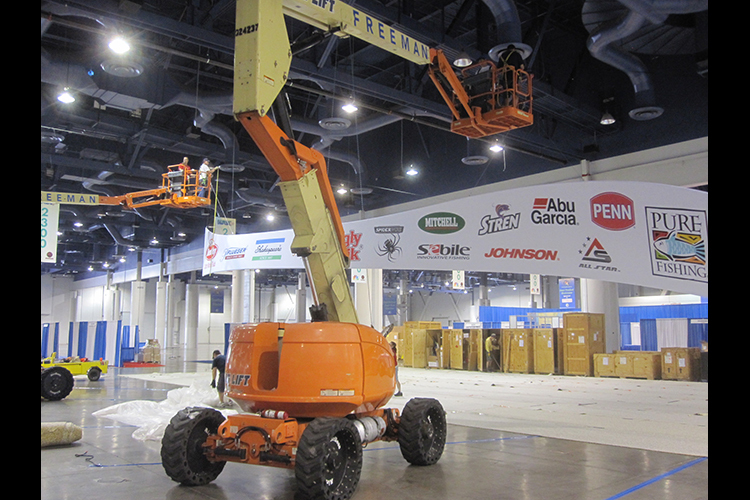 You can count on us to take the proper care with your exhibit. 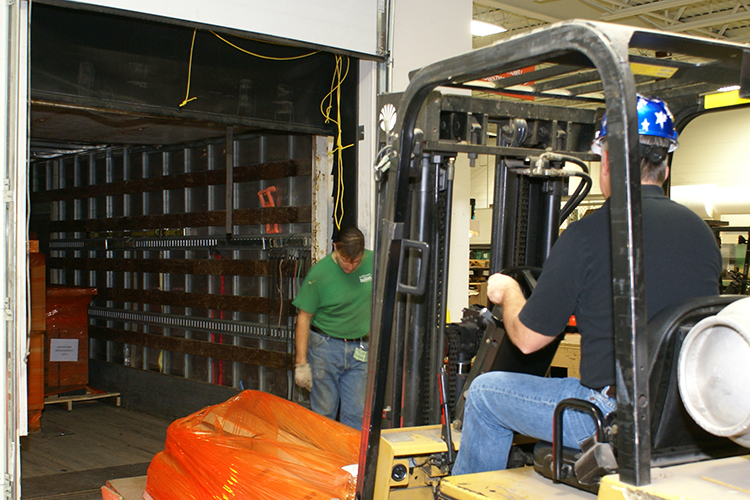 We’ll pack it in crates, or shrink wrap the components on a pallet, with everything properly labeled. The Bill of Lading and other forms of paperwork will be filled out for you. The drivers will check in with us as the shipment travels across the country, and if appropriate we’ll send you tracking information. If you choose to store your display materials with us, when it returns from a show or an event, we’ll check it in, refurbish it, repair it if necessary and return it to storage. Then it will be ready for your next event. 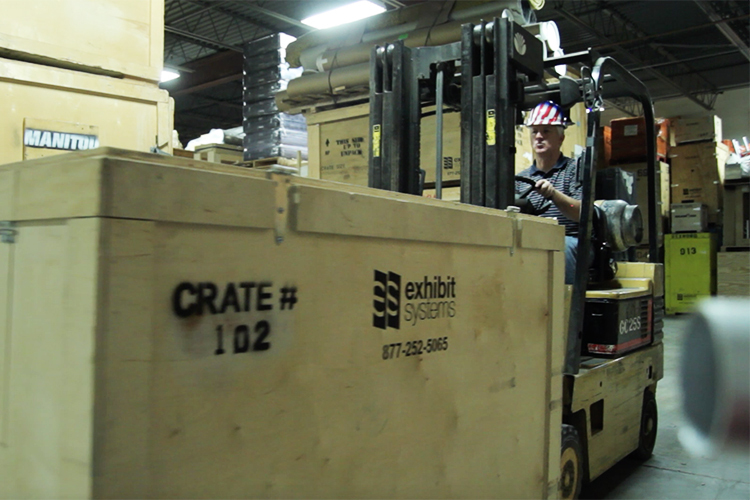 Our commitment is to ensure your exhibit materials arrive at their destination in one piece, on schedule and on budget. Establishes and sustains trusted partnerships with our clients.